"This is the first step in asking the court to declare that the trial court improperly sentenced Jason Van Dyke for the murder and aggravated battery of Laquan McDonald and to order a new sentencing hearing," Raoul said at a news conference. Monday's court filing was the latest chapter in an ongoing saga that included massive demonstrations, the firing of Chicago's police superintendent, and the ousting of Cook county's top prosecutors by voters a few months later. Dashcam footage of the shooting released by the city in 2015 showed Van Dyke continued to fire at the 17-year-old McDonald after he fell to the ground. The sentence was the first imposed on a Chicago police officer for an on-duty shooting in a half century. 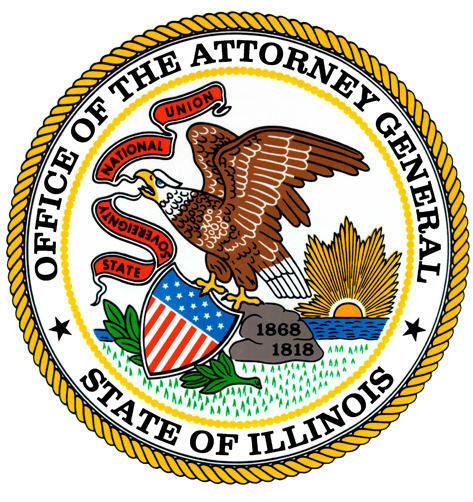 The central issue in the petition is an Illinois law that allows a judge to sentence a person for only the most serious crime when the defendant is convicted of multiple crimes for what amounts to a single act. Gaughan determined that second-degree murder was the more serious crime, even though it carries a lighter sentence than aggravated battery — between four and 20 years in prison versus six to 30 years in prison. Both Raoul and McMahon steered clear of addressing whether they believed the sentence handed down by Gaughan was too short, but their filing sets in motion a legal battle that could ultimately result in the court forcing the judge to impose a longer sentence. In a brief he filed before sentencing, McMahon sought a sentence of at least 18 years in prison. Many legal experts say Gaughan was wrong and have pointed to a 2004 Illinois Supreme Court ruling in which a majority of justices concluded that aggravated battery is the more serious charge because it has a higher sentence. In fact, of the two charges, only aggravated battery with a firearm carries a mandatory prison sentence. A judge can place a person convicted for second-degree murder on probation, something that Van Dyke's attorneys sought. Prosecutors cannot directly appeal a sentence but are seeking a "writ of mandamus," which can result in an order from the Illinois Supreme Court telling a judge to adhere to the correct law. If not for a new sentence, and with credit for good behavior, Van Dyke will likely only serve about three years. In one of his first moves after taking office in January, Raoul announced he would review the sentence Gaughan handed down just days earlier.